"Sick as a Dog:" Can Dogs Get Colds? 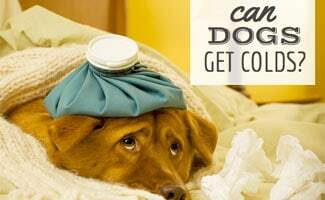 Home > Dog Health > Illness > Sick As A Dog: Can Dogs Get Colds? 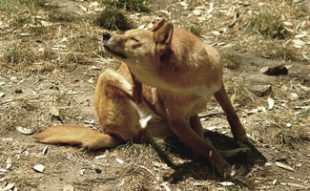 Does your dog have the sniffles? Watery eyes? Is he sneezing and coughing? Can dogs catch colds? Yes, they can, and the symptoms can range from mild to severe depending on the type of cold virus he’s caught (just as human colds can vary in severity). How do you know when your dog has a cold or something worse? How do you treat his symptoms? 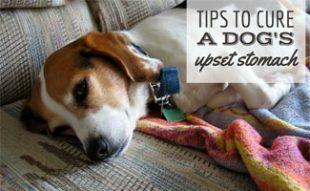 Not to worry — we’ll give you everything you need to know about dogs and colds so you can be sure you’re taking good care of your precious pup. Can Dogs Catch Colds From Humans? It’s a fairly common misconception that dogs and other pets can catch colds from humans. Although your dog’s symptoms may mimic yours when you have a cold, the viruses are different and don’t cross between species. So if you’re both sick at the same time, rest assured — it’s just an unfortunate coincidence. What Dog Cold Symptoms Should You Look For? 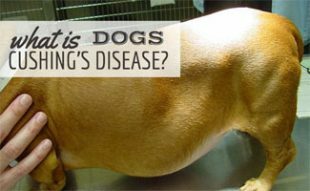 What are dog colds symptoms? Like we said above, a dog’s cold symptoms can be very similar to human symptoms — a runny or stuffed up nose, watery eyes, sneezing and coughing. He may be more lethargic and not eat as much as usual. But it’s important to distinguish a cold from other dog illnesses that could be more severe. Watch this video we created to see some dogs with cold-like symptoms and to learn more more. If your dog is a young puppy or an old dog, his immune system may not be up to par so it’s best to check with your vet if he’s showing cold-like symptoms. If your otherwise robust dog exhibits severe symptoms, or is lethargic for more than a few days, contact your vet to make sure he hasn’t developed an infection that could require antibiotics or other treatment. And if your pup is experiencing vomiting and diarrhea along with cold-like symptoms, it could be an indication of a more severe illness. How Should You Treat Your Dog’s Cold? We all hate to see our pups suffer. Consider some of the following home remedies that can help alleviate cold symptoms. Run a hot bath or shower so that steam builds up in your bathroom or use a common vaporizer in the room where your dog sleeps. Just as with humans, steam can help clear up his nasal passages. Make sure your pup is drinking plenty of water and give him some good old chicken noodle soup. Any kind of soup is good for dogs with colds. Keep him hydrated! It’s probably not a good idea to take your pup on long walks until his symptoms improve, although he may not feel good enough to go walking anyway. Also, try to restrict play time for very active dogs (easier said than done, we know!). Herbs that are vitamin C rich help boost your dog’s immune system. 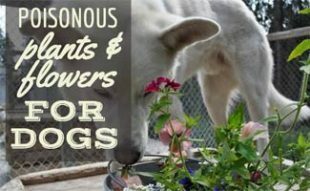 Safe herbal remedies for dogs include elderberry extract or flowers, colloidal silver and mullein flowers. Check with a holistic veterinarian to make sure you’re giving your dog the appropriate amounts of herbs and for tips on how to administer them. As the old saying goes, “prevention is the best medicine.” The American Society for the Prevention of Cruelty to Animals recommends dogs get vaccinated every year with the “5-in-1” vaccine that protects him from distemper, hepatitis, leptospirosis, parvovirus and parainfluenza. While this won’t completely protect him from the common doggie cold, it does protect him from more severe illnesses that share some of the same symptoms — and it helps boost his overall immune system. If your dog is sick and you’re still not sure if he has a cold or something else, err on the side of caution. Your veterinarian is the best judge. And, as always, if your dog is sick, contact your vet and make sure you have pet insurance to save on the vet bill next time around. How can you tell when your dog has a cold? Eucalyptus is highly toxic to dogs! Hi Hanna, thanks for pointing this out! The ASPCA does say eucalyptus, even used as an oil infuser, is toxic for dogs. We’ve updated our article accordingly. Hi Sabrina, great question! We’ve got many resources for you to consider. First, you can read about our top three picks for best pet insurance. Included on that page is our pet insurance quote form, which gives you pet insurance quotes for your specific pet. You can compare costs and choose the company you are most comfortable with. Overall, getting pet insurance is as simple as filling out a form online. Let us know if you need help choosing a company. You can read our comparison of all pet insurance companies here. Thank you so much for this info!! I really appreciated it!! I’ve got a pup that just got over a cold. The pup is also due for his 2nd parvo shot. Is this a good idea or should I wait. I’m glad that you pointed out that you should check with your veterinarian immediately if your dog has been lethargic for more than a few days. My old dog started sneezing and heaving a few days ago. He has quieted down a bit, but he has been less energetic and active than he used to be. I’ll be sure to go look for a veterinarian that can prescribe us with proper medications. Dog of 18 months..runny nose..breathing funny when zzzzz ??? Acold? 5 in 1 vaccines for dogs are atrocious. Way too much for a pup to handle at one time. Also vaccines lower dogs immune systems. So your research. Big pharmaceutical Companies make billions selling (unnecessary) dog vaccines. They do them annually which is not necessary. Do we get vaccines annually? No we don’t, because once you get the vaccine you almost always won’t need to re vaccinate because your body now has the proper antibodies to fight the disease. After all the puppy shots are done, you can get a titer test every few years to ensure that your dog has the proper antibodies. It’s a simple blood test. Better than objecting toxic chemicals and other bad stuff every 12 months into your dog for no reason. Vet offices make BANK on having you get your dog vaxxed annually. Just remember it’s a BUSINESS. Have you got any actual peer-reviewed evidence to back up your claims here? We do get some vaccination boosters such as tetanus, influenza, etc. on an annual to multi-annual basis so there is precedent in human virus treatment. There will be advice from the manufacturer on how regularly the vaccine should be administered based on scientific evidence. What are these toxic chemicals of which you speak? Something to consider; I have never gotten the flu vaccine and I have only had the flu once in my life. I literally have not been sick in 2 years now. I have watched so many people actually get sick right after getting the flu vaccine. Hmm. Toxic chemicals? Like mercury? Other heavy metals? Have you done YOUR research? Unfortunately the type of vet care varies by location. I suggest calling local vets and seeing how they charge for services. Best of luck and I hope your pup gets better soon. Mary that’s not helpful. If you can help, then help. If you can’t or aren’t willing to then keep your mouth shut. We don’t know the situation or why Harry is economically strained. You guys are clueless I take it. If this is the states that makes sence even though rabie shots messes up your and causes death. I know most of you guys are not high in educated imgur dogs vaccinations. Almost every breeder in the world will make you sign for NO RABIES shot. The United States is one of the only countries that force you to give your dog rabie shots and that’s said on the government side. Look into your research about vaccination and what is happening to the dogs. Most of the vets when it comes to shots is a cash cow…..
Way to shut your BIG mouth Mary. If you can’t offer helpful advice, don’t say anything at all. You don’t know this person’s situation. Therefore you have no right to comment negatively. Mary has every right to comment what ever she deems necessary you dumb ****. Like all animals, you shouldn’t get it if you can’t afford for it to have a good life. Harry, hope your doggie is ok. For the future, look for low cost vaccination clinics. In my area, you just pay for the shot usually around $12. In some areas, you don’t need to oay at all. You are aware that most vets give you a bill that doesn’t have to be paid up front right. Also parvo is highly contagious so i’d quarantine and if the dog shows more signs of parvo then a bullet to the brain. No vet required there. Just consider the source. When people are consumed with negativity & harshness. Pray their peace. They are full of torment that comes out their mouth. Clueless in that state. Check with your local humane society ? They may know some vets that have programs. If tou can’t afford to care for your dog, you can’t afford a dog. Sorey that sounds unkind, but think of your puppy. Used pets alive and they saved both my pups. Was only 500 and that included the spay and their first shots. They take payments. This was in Austin Texas but you probably have a similar service where you are.